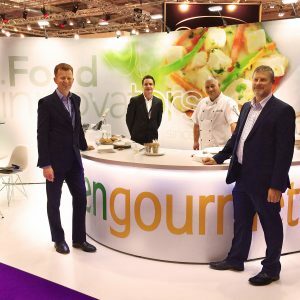 Green Gourmet is an award winning food innovation company specialising in Airline Hot Savoury Snacks for the travel catering market. Based on the edge of the Cotswolds in the South West of England, our customer base is growing quickly and we now export to 7 countries. Founded by CEO and owner Adam Starkey founded in 1991 as a one-man business, we have grown into a 38 strong team. Our mission is to be the best at food innovation; the most creative, most responsive and most trusted. We’re a well-travelled team of foodies and our purpose built development kitchen is our hub of creative energy, where compelling insights are shared and new ingredients and flavours are brought together. Our products are design for travel catering and have won the world’s leading awards in the field; the Mercury Award for Food & Beverage in 2011 and 2014 and the 2015 On Board Hospitality Award for Packaging Innovation. 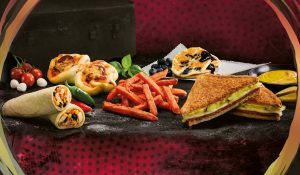 Our diverse range of chef-created foods includes a mix of menu classics and forward-thinking, “marketplace firsts” inspired by key trends from around the world. To celebrate the trend for American style food has been gaining momentum, we have introduced a number of new additions to our range. 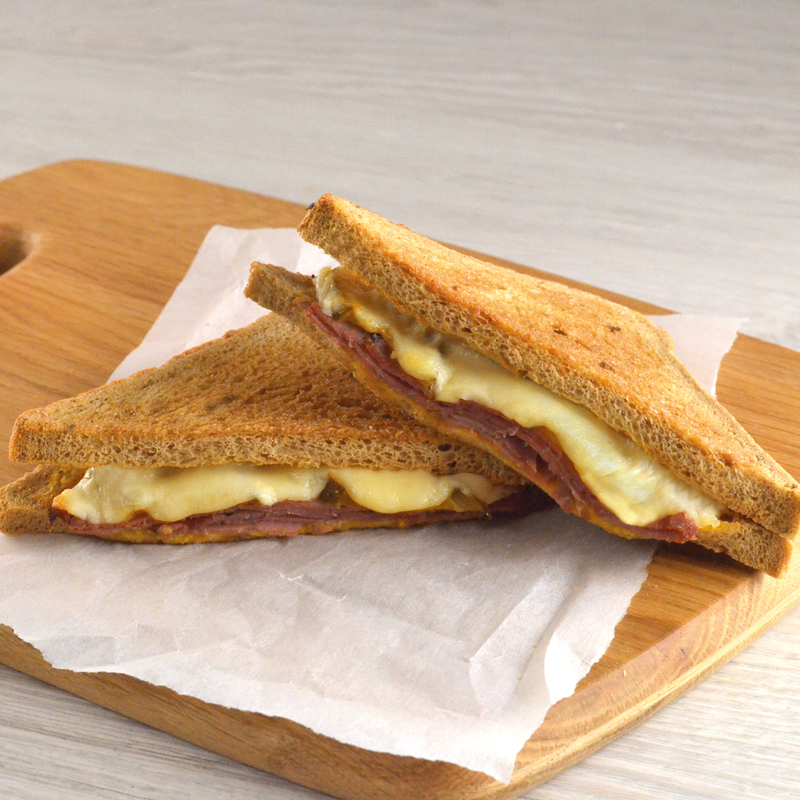 Supplied in premium packaging they are designed for minimal actions on board – simply heat and serve. The product features a crispy top and base and is pre-sliced to create a better eating experience. 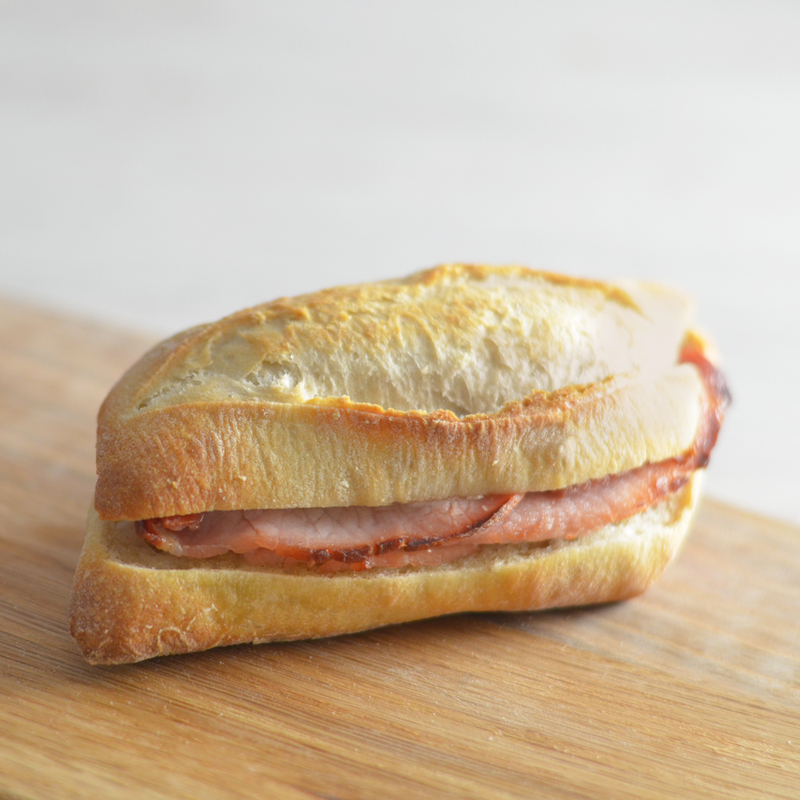 We’ve kept it simple for our new White Sourdough Bacon Ciabatta, which moves the bar higher for breakfast snacks. A white, stonebaked diamond roll made with French flour and a Poolish Sourdough recipe. Spread with unsalted butter and generously filled with three rashers of cooked unsmoked back bacon. Consumer demand for gluten free is more than just a medical need. Up to 7% of UK, US and Canadian population is believed to have a gluten allergy or intolerance. Whereas 22% now choose gluten free as a healthier diet choice. In fact, more than 10% of global food and drink launches in 2014 were gluten free. We’ve introduced a twist on our award winning Fish & Chips in a Box – a gluten free version. The first of its kind for airline caterers. Sustainably caught pollock fillet in our unique wheat and gluten free crispy batter, served with a portion of lightly seasoned golden chunky chips. Green Gourmet launch new brand Source Foods. Green Gourmet has launched a new, consumer-facing lead brand for its travel and leisure product range. Introduced at the 2016 World Travel Catering Expo in Hamburg, Source Foods places the spotlight on the company’s strong flow of exciting new ideas and use of simple and authentic ingredients. The Source Foods brand champions quality ingredients, thoughtfully and responsibly sourced. For instance, the new range of British Classics (another food trend Green Gourmet has identified) offers a pie and chunky chips which uses British beef with the Red Tractor accreditation, an assurance of quality which is independently verified. 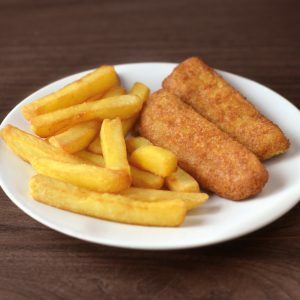 The fish and chips contain MSC (Marine Stewardship Council) certified fish and they were the first to apply this environmental standard to a consumer ready, pre-packaged onboard product. When it comes to packaging for the new Source Foods range, the flow wrapped products feature a new, recyclable premium PET film that is 40% lighter than the previous twin-ply material the company used. For more information, visit www.greengourmet.co.uk.